The Circle of Excellence is a giving circle for Overlake supporters who make annual gifts of $1,000 or more. These invaluable donors are dedicated to ensuring that world-class medical care is here for the Eastside. Your name on the donor wall. Opportunities to meet Overlake physicians and leadership. Impact reports to keep you in the loop. To join the Circle of Excellence, make one or more donations totaling at least $1,000 annually. We can't wait to see you. 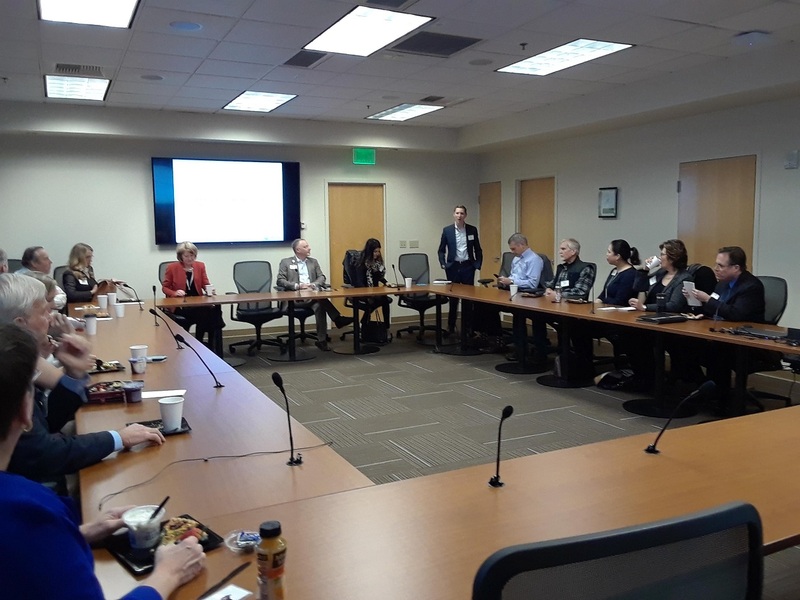 Dr. David Knoepfler, Overlake's Chief Medical Officer, presented an overview of the national crisis of opioid abuse and Overlake's response to it. With opioid abuse and overdose deaths reaching epidemic proportions across the country, it has become critical for healthcare providers to take action. Overlake has used data and technology to help patients manage their prescriptions appropriately and to ensure that our own prescribing reflects best practices. Dr. Abhineet Chowdhary gave a presentation on Overlake's work in treating strokes at a breakfast event for Circle of Excellence members. Overlake ranks in the top 10% of hospitals nationwide for our stroke program, and our 24/7 capability means we are here for anyone who has a stroke on the Eastside. Attendees learned about advanced treatments and successes as well as directions for the future. Click here to view a video illustration of neuro thrombectomy,a technique used at Overlake.